Quite like this. Production is solid, it's very catchy, and ZURICH! Sia liefert den schwungvollen Chorus - der mit Gitarren geschmückte Groove kann auch noch gefallen - aber das Geplapper zieht die Sache etwas nach unten. Not into Sia's part yet but I love the rapping. This is pretty crappy. But I wasn't expecting anything good to begin with. I was hoping for something interesting atleast, and I didn't even get that. It's not great but at least it doesn't sound like they're actively sampling some crappy 1950s garbage.<br><br>Well I don't love it, but at least it's Sia's best recent collab, I'd go as far as to say it's better than Titanium now. Not that great. I love Sia so I thought I might like this track. But it kind of bores me. My least favourite of the Sia tracks that are around at the moment, but it's not her fault. I just really don't like Hilltop Hoods and their 'sound'. I normally love the Hilltop Hoods, but this is sub-par. Sia's chorus drags it down further. They are probably turning pop, hopefully not though. I will give this 3. It isn't that great. Hilltops Hoods songs haven't evolved much. It's okay but not that good. "We actually grew up around Sia, we used to watch her play in an Adelaide band called Crisp. About six months ago she hit us up, saying she wanted to do a hook for us and we jumped at the chance" Suffa: HILLTOP HOODS<br><br>At the end of the last album (State Of The Art) i was really expecting bigger and better things but this is really a big disappointment and Sia unfortunately adds nothing to an already average track. Here's to hoping the new LP has some better tracks than this. Catchy but a bit irritating. Sweet collaboration. An enjoyable experience. Really feels like it should be something great but overall falls quite short. Nice sounding but ultimately not that memorable to me. That said, I think I like it again. 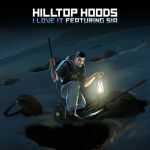 Sia definitely helps the case though Hilltop Hoods are good too. Really good. Hilltop Hoods' parts are good but Sia is the standout. Good to see it went top 10. HH's best effort. Der ist ganz ok, mehr wegen Sia, weniger wegen des Raps. <br>Sia zuliebe gebe ich hier eine 4.